He’s hated and adored. He’s loud, repetitive, and poorly dressed. But, regardless of his talent or lack thereof, he’s been up to a lot. Is he worth our attention? 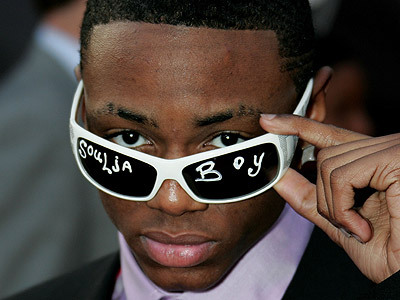 Soulja Boy Tell ’em, whose real name is DeAndre Way, is a 19 year old Atlanta based rapper, with an undeniably impressive portfolio of accomplishments. He’s produced tons of Mixtapes—-get them (for free) off his Myspace page. And now, to top it off, he’s releasing a book. But, the question arises, inspite of all his accomplishments, is he worth paying attention to? His music—is it garbage, or has he “redefined” hip-hop as he’s claimed? Is it a good redefinition? Its undeniably catchy and at times funny, but is it worth listening to—is it worth buying? I don’t know, what do people think? This entry was posted in News, Profiles, Special and tagged deandre way, soulja boy, teenage millionaire. Bookmark the permalink.